Boos and hisses to The Daily Dish and Slog, two blogs which picked up a story about the LGBT group at the University of Michigan in the midst of changing its name. Slog makes a valid point, at least, that the group seems preoccupied with process (Slog calls them "process queens"). But then to score rhetorical points, the crabby Dan Savage at Slog invents the term "LGBTQIALMNOP community" and implies that U of M is actually contemplating such a horrible name. Not true. Equally crabby Andrew Sullivan picks up the meme, suggesting that the LGBT group at U of M wants to rename itself the "The Office of LGBTQRSTV Affairs". Another fiction. Both Slog and The Daily Dish resort to fiction to ridicule the college club, presumably in a wanting effort at parody. *The Office of LGBT Affairs began as the Human Sexuality Office and, since then, there have been many permutations and iterations of the name of the Office (Lesbian and Gay Male Programs Office, then Bisexual was added, then Transgender was added). It is necessary that the Office adopt a name that will withstand "naming" and labeling trends. In other words, the Office at U of M is seeking to overcome precisely the problem in naming that Savage and Sullivan are accusing them of supporting. They want to overcome labeling trends, not immerse themselves in the latest and greatest labeling fad! Savage's ridicule of "process queens" isn't wrong; it just seems too obvious. Sullivan's criticism seems more culpable, for he either willfully misrepresents the LGBT campus group or seems not to have read the actual U of M LGBT group website, for he writes, "I have no idea why the gay rights movement has to be represented by a term that looks like a hamlet in Croatia..." (which is actually the point being made by the folks at U of M -- they don't want a term like LGBT to represent the community; they are looking at terms such as The Taskforce and The Rainbow Center among others as guides for overcoming alphabet soup). Listen, bloggers. If a group wants to overcome terms that look like Croatian (no offense, Croatians), then why hold them up for ridicule? 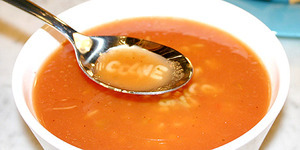 They should be receiving nods from folks who despise acronym soup, not ridicule. So let's just shrug off Savage and Sullivan this time and trust the folks at U of M to make good progress on their name. My two cents: they could do worse in naming than Rainbow Center. Seattle-based writer Joe Perez, author of Soulfully Gay, blogs at until.joe-perez.com. 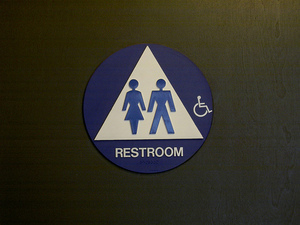 Gender-blind bathrooms: a short-sighted solution? The National Student Genderblind Campaign is a student-initiated, grass-roots organization working to achieve gender-neutral collegiate policies. By engaging students from colleges and universities across the nation, the National Student Genderblind Campaign strives to serve as a comprehensive source of information for those who wish to implement gender-neutral policy of their own. As a matter of principle, I must say that I prefer gender awareness to gender blindness. Walking through life with one's eyes closed to gender similarities and differences is not a policy I can advocate, as a rule. Nor do I hold "neutrality" as a moral ideal, except as pertains to formal equality of all individuals before the law; "neutrality" when applied to matters of culture tend to be hopelessly romantic ideals usually offered with good intentions but resulting in poor policies with unanticipated negative consequences for everyone concerned. One of the encouraging signs of future change in the mainline church is the establishment of gay and lesbian centers at seminaries. The education of future ministers in the church gives a hint of the future of that church. There are two centers which have recently caught my attention. The Center for Lesbian and Gay Studies in Religion and Ministry at the Pacific School of Religion and the The LGBTQ Religious Studies Center at Chicago Theological Seminary. Both are UCC schools. Hopefully they represent the sort of collaboration and work that will take place in more and more schools in other denominations. The center at PSR aims to "transform faith communities and wider society by taking a leading role in shaping a new public discourse on religion and sexuality through research, education for leadership, community building and advocacy. A few weeks ago, I purchased Gay Religion and promised to write more about the text as I read through it. I’ve now read three of the articles, skimmed through the titles and opening paragraphs of the others, and would recommend this as a classroom textbook. Unless you’re very interested in statistically based sociological analysis of the LGBT culture, I would suggest that you forgo this book and pick up something more accessible and readable. However, this would make an excellent beginning reader in a sociology or religious studies classroom, as well as a thorough resource for gay and lesbian writers, gay-friendly parishes/congregations, and non-profit organizations working in these overlapping areas. I chose the three essays above because they most closely tracked with my own personal experience, giving me a better yardstick for evaluation then the essays on gay male culture. 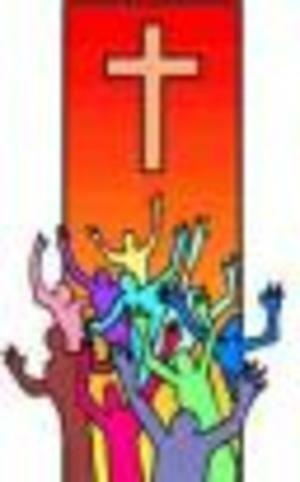 Ponticelli’s article on ex-gay ministries arises from her experience “undercover” at the 1992 Exodus conference and subsequent months in a Northern California ex-gay ministry. She claims that her purpose is not to evaluate whether these ministries are appropriate or successful, but to understand their appeal. This is a laudable intention, to hear before critiquing, and to give the benefit of doubt to those one might consider “enemies” of LGBT persons. Unfortunately, I wonder, as she seems to in her conclusion, whether this is even possible. I've picked up a new book, Gay Religion, edited by Scott Thumma and Edward R. Gray. Published in November 2004 by Altamira Press, it is a compilation of essays by academics and practitioners about gay practice and identity in a cross-section of spiritual communities. From Seventh-day Adventists to evangelicals to Jews to the gay male leather community, this book has an essay to interest any sub-niche that is typically the focus of mainstream dissmisal. There are broader essay topics as well, such as religious music, spiritual identity growth, etc. I hope to use this text as a jumping off point for some thought this month about my own spiritual journey. There's more. The book has 21 chapters, plus an appendix with resources for LGBT spirituality.